Hello! 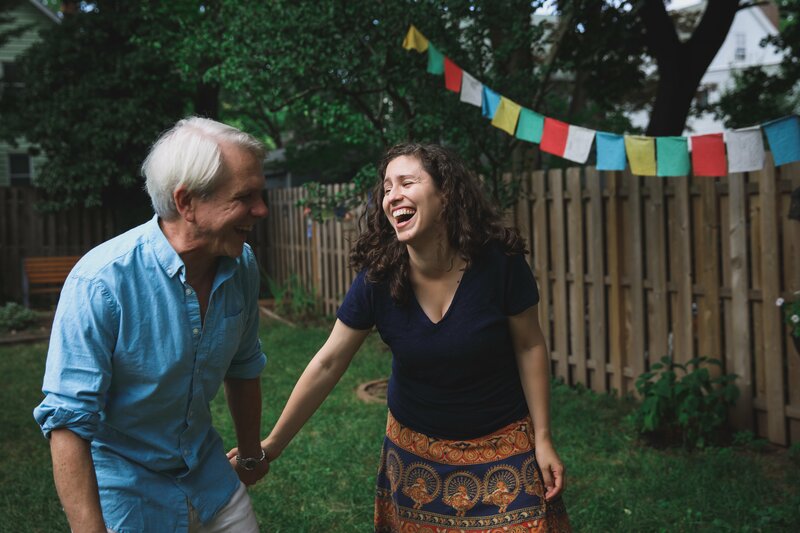 We are Kaitlin and Larry, and we are so grateful to start our family through adoption. Thank you for taking the time to read our profile. Our home is full of books, music, conversation, and great healthy food. We live in a diverse neighborhood in an engaged community with wonderful schools. We love being outside, and we have a fenced backyard and a park around the block. We both have large extended families who are so excited to welcome a child into our lives! Kaitlin’s mom is an early childhood educator with a specialty in early literacy, and we are both booklovers—so our future child already has an amazing library! We believe that every child deserves to see themselves reflected in the stories they encounter, so this library is full of books celebrating children from all backgrounds, cultures, and types of families. We will love this child to the moon and back, and we will raise them to be a kind, responsible, empathetic person, who is confident in who they are, how deeply they are loved, and is eager to give that love back to the world.